Description: The strongest steroid, at the same time most effective. It has an extremely high androgenic effect. Adjustment of weight in a period very short of time. It is used by athletes of the power of the upper classes. It helps to gain 4 to 7 kg for 2 weeks, mainly due to the retention of water in the body. In the same athletes who use this drug in appearance, it looks full. The efficiency of the muscles is not United, only the volume. The course of the last 6 weeks. The men in the first week are necessary to take 50 mg a day, in the second - 75 mg per day, the third through sixth - 100 mg a day. Steroids, which, in turn, consolidate the results after completion of the course and reduce the occurrence of side effects can also be combined with other drugs. 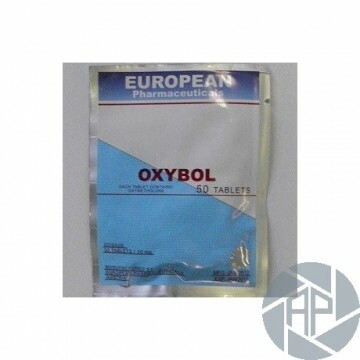 For this purpose, it is necessary first to fourth weeks of taking 40 mg and 50 mg Dianabol Oksibola daily quarto-sexto - Dianabol 30 mg and 50 mg a day Oxibol. It is necessary to follow a diet high in proteins and calories. For beginners, it is necessary to study the effect of the drug in the body, take into account the weight of the body. You should begin with a dose of 10 mg per day. Not be can bend the dose or continue using after the course. Medical consultation. Side effects do not occur when the appropriate dose and admission is strictly for the course. In some cases, or an overdose can be side effects: a headache, toxic effects in the kidneys due to the delay large amounts of fluid in the body, hair loss, hair growth in the body and face, increased hostility. At that time, the operation of their hormones, which can lead to involuntary changes can be stopped. The same can be disorders of the gastrointestinal tract (diarrhea, nausea, abdominal), elevated robots sebaceous glands rash all over the body, deepening of the voice, both men, and women.